Few forms of so-called “journalism” are as useless as the TV recap. And yet they’re all over the place. I doubt there’s a show on TV that doesn’t have someone, somewhere posting a recap of it the following morning. I have a feeling the people who write these think they’re performing an act of journalism when they “report” on the “news” that a fictional TV character broke up with her fictional boyfriend, or a fictional wife learned her fictional husband was having an affair. Or OMG! -- a character (someone almost always hyped as “beloved”) got killed. This kind of writing about television lacks value for two big reasons: 1) People who are fans of a TV show getting recapped have, in all likelihood, already watched the show themselves, which means they have no reason to read a recap, and 2) if these fans of a TV show happened to miss the show and they’ve recorded it to watch later, or plan on watching it on-demand, then they have another reason not to read these detailed, morning-after summaries, which can only serve to spoil their experience. 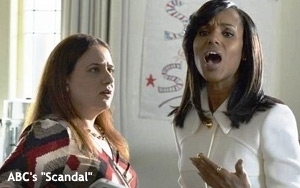 Or, to put it another way: What’s more fun -- actually watching a show like “Scandal” or reading some anonymous writer’s summary of what happened on “Scandal”? And that’s another factor mitigating against recaps: The writing is often so poor and ill-considered that they are frequently near-impossible to read. I have read recaps that are so detailed and so long that they go on for web page after Web page -- delving into every single scene and every conversation with excruciating specificity, even describing the glances and facial expressions the characters make. This kind of unedited “reporting” is what you would expect from a third-grader doing a book report. Like those childhood book summaries that kids once had to deliver in front of the whole class (maybe they still do), these detailed summaries of TV shows are little more than airless regurgitations. I mean, what’s the journalistic challenge here? Watching a TV show and taking notes? Then writing down what millions of people already saw? That’s kind of a new category of writing – call it “stenographic TV-watching” perhaps -- but it’s not journalism. “Spoiler” alerts aren’t journalism either. This is something that is also widespread in the popular culture of TV watching and morning-after commenting and recapping -- the idea that you would write something for people to read, but before they begin reading, warn them with the words “SPOILER ALERT,” in all caps, that they should not continue reading. It should go without saying, but probably needs saying anyway: The entire profession of journalism is, in many ways, one big spoiler alert. If you read a story in a newspaper, magazine, blog or Web site, there is a strong likelihood that something about the subject matter might be revealed that could “spoil” it for you. The fact is, real journalists don’t care about spoiling anything, and they don’t warn their readers not to read for that would go against the whole purpose of writing and publishing material for circulation. While most plot twists on TV shows are not newsworthy enough to waste time reporting on (since the people on TV shows are fictional, remember? ), there are occasional character deaths or other events that actually can qualify as notable enough for a news story to be posted in the hours (if not minutes) after it happened. In such cases, real news organizations immediately recognize their obligation to report and publish these stories without regard to the possibility that they might be “spoiling” it for someone. Besides, millions already saw the show and are already talking about it, which means the story is already out there in some way or another. Spoiler alert: News editors should not be concerned about a portion of their readership who might not yet have watched the show and plan on watching it later. Sorry, time-shifters. 5 comments about "Spoiler Alert: TV Recaps Are Useless, Lazy 'Journalism' ". Martin Pratt from Unidad Solutions for Marketing and Media, November 13, 2014 at 2:54 p.m. I would argue #TvRecaps are NOT suposed be journalism just as advice columns or letters to editors i view #TvRecaps as good community outreach and engagements. Jonathan McEwan from MediaPost, November 13, 2014 at 2:57 p.m. I guess it all depends on the show. In the case of Mad Men and Barbara Lippert's scholarly dissection of each episode in her Mad Blog column, it's more like a terrific College level English class. There are symbols and foreshadowing, truths and suggestions of historical fact that you might otherwise miss. So I would say, I agree, except for in the case of extraordinary shows, in which case the recap can be enlightening when written by a seasoned journalist. No? Elyssa Kramer from Turner Broadcasting, November 13, 2014 at 3:01 p.m. The only reason I struggle through the Bachelor/Bachelorette series is to read the hilarious recap on EW.com the next day. Also, reading the LOST recaps on EW.com opened my mind to theories, symbolism, and themes that I never came up with myself. Long live the TV recap (at least from Entertainment Weekly)! Bobby Calise from Horizon Media, Inc., November 13, 2014 at 3:45 p.m.
Has someone claimed that TV recaps *are* journalism? They provide value to fans who have watched the show in that they create a discussion and often highlight the stuff we might have missed (especially with long breaks between seasons). Yes, not every TV recapper is as good as Alan Sepinwall. So like anything else, quality of content should win out and the poorly written recaps should be neglected by discerning TV fans. Naeemah Clark from Elon University, November 13, 2014 at 7:49 p.m. I try to add some commentary when I do my tv smarty in a dress posts on YouTube. I still don't consider it journalism though--just adding to the discourse about pop culture.